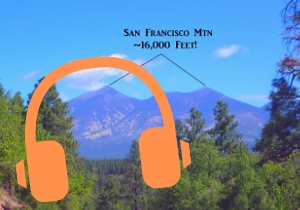 Experience Flagstaff’s Beginnings on your own time with our self guided audio tour. 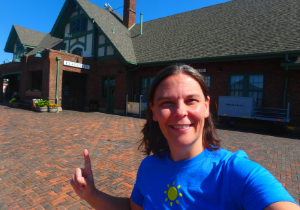 Enjoy 8 historic locations with an interpretive audio history at each stop. Map and stop directions included. This is a drive and listen tour. Walking not required, but encouraged. Discover The Best of Our Flagstaff’s Beginnings City Tour On Your Own Time! Take an epic journey across 500 million years of history & unearth the ancient, and more modern, beginnings of Flagstaff, AZ. **This is a park and listen tour. Walking around exploring stops is not required, but always encouraged. You can experience this tour from any audio device: mobile smartphone, tablet, mp3 player or flash drive. You can either stream live or download. Our Flagstaff Beginnings Self-Guided City Tour will take you on a journey over millions years of history, setting the foundation for the Flagstaff we know and love today. Your Flagstaff Beginnings experience includes a tour stop list, tour stop map, and audio tracks for each stop along the tour. The tour will likely take about 1 to 2 hours total to complete, depending on how much exploring you do along the way. 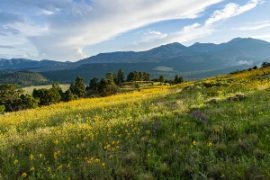 On this tour, learn about Flagstaff’s ancient history, volcanoes, ancient seas, early cultures, and it’s more modern history, how Flagstaff got it’s name, the railroad, early residents and industries, and so much more! 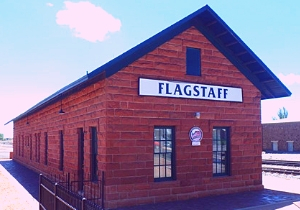 Whether you are a visitor to Flagstaff, new to town, or a long-time resident, you will love our Flagstaff Beginnings City Tour, and especially now that you can enjoy it on your own time! When you purchase the tour, you will receive an email to a password protected page that will provide you with all the goodies to enjoy your tour. You can either download all the items and then enjoy them using your favorite method: mp3 player, CD, USB drive, etc.. or you can simply view and play all the documents and audio right on your phone, tablet or other mobile device. Due to the digital nature of the product, all self-guided tours are non-refundable. If you do not receive your product email within 15 minutes please email us right away. What are you waiting for? Get your self guided tour today! Have questions? 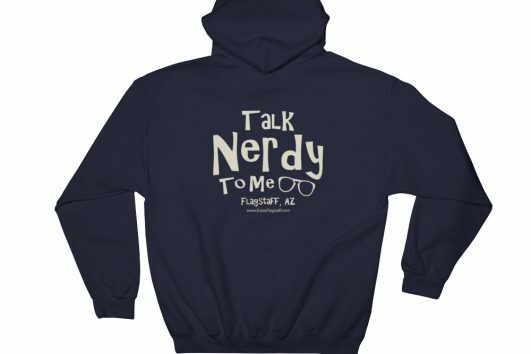 Shoot us an email or give us a call at (928) 853-4484. Discover the unique and interesting history of Flagstaff, Arizona. Join us for a journey across Flagstaff and across time on this fun and informational 2 hour drive & walk tour. Ancient geology, volcanoes, indigenous cultures, the railroad and more! See our calendar for available dates. Flagstaff is a beautiful town. 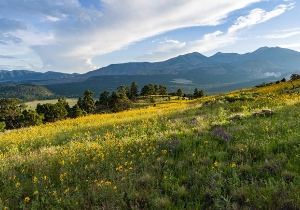 From the iconic Southwest style of its buildings and the railroad to the sweeping Ponderosa Pine forests and the majestic San Francisco Peaks, Flagstaff is diverse and alluring. On this drive & walk tour, we do the driving while you enjoy the view. View our calendar for available dates and times. Downtown Flagstaff is packed with interesting things, and the best way to experience it is with a local guide! Our interactive walking tours will explore the history of Flagstaff while providing ample opportunity to enjoy the scenery. See our calendar for available dates and times.